With PhotoEQ you will get professional quality photo enhancements automatically. You can easily enhance, edit and do color management to one or batch process hundreds photos with single click. 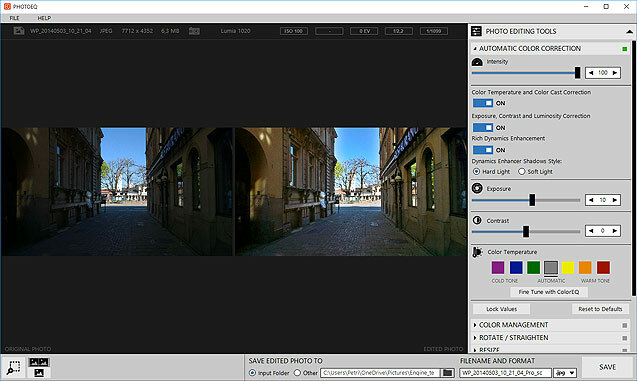 PhotoEQ support almost every digital image and RAW formats. PhotoEQ saves photos to JPEG, TIFF, PNG, PSD and BMP formats.